We are a family-run business, and we have built up a reputation as one of the best ice-cream companies over the past two decades. 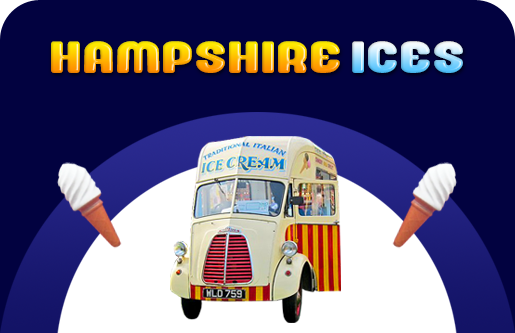 With our large fleet of vehicles ranging from traditional, miniature, retro, electric to the most favourite Antique 1950’s ice cream van, we always aim to provide you some of the finest services which can be tailored to your needs. Over the years, we have accumulated orders on a repeated basis from various event managers which include indoor and outdoor parties, school summer fares, corporate parties and some of biggest shows including local events and various fundraising for charity events, throughout Hampshire and Surrey. We always stock a range of tasty choices of ice creams including Mr. Whippy ice creams, lollies to gelatos, which makes one of the most reliable ice cream companies with a professional and friendly team who are always willing to go that extra mile to achieve 100% customer satisfaction. 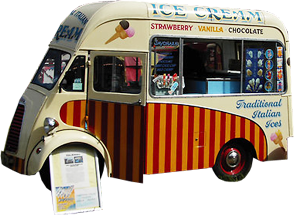 We offer Ice Cream Van hire services that are environmentally safe and reduce the emission of harmful CO2. We help to raise funds for many charities which includes Children in Need, Cancer Research UK, Help for heroes, The Phyliss Hospice Trust, Hill Croft College, the Shooting Star Hospice, and many more. Some of our branded past events/customers include Carters Steam Fair, The Millennium Dome 2000, Capital Radio, London Pride festival, Glastonbury festival, Summer live, Epsom Derby and many more.